Bilbao Airport is located 12Km North of Bilbao	with good access to the motorways to travel West towards Cantabria, South towards La Rioja or East towards San Sebastian and France. 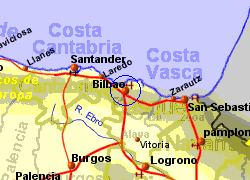 Bus to Bilbao every 20 minutes during daytime approximately €1.50. 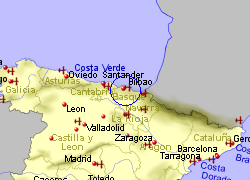 There is also a bus to and from San Sebastian every hour in the early part of the morning. A further bus sservice runs between the airport and Zarautz 4 times per day. 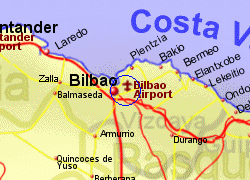 Taxis to Bilbao approximately €25.